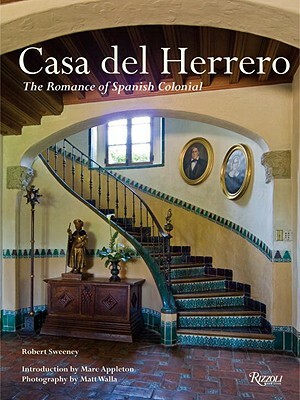 Casa del Herrero—House of the Blacksmith—stands today as one of the most fully developed and intact examples of Spanish Colonial Revival architecture. It was designed and built between 1922 and 1925 as a second house for George Fox Steedman, a St. Louis industrialist. Thought principally to be the work of George Washington Smith, the architect, Steedman himself generated many ideas during the initial design phase that were both a blessing and curse to Smith. Steedman’s vision prevailed, and throughout the decade following the house’s initial completion, he continued to rework both house and garden, engaging the architects Lutah Maria Riggs, Edwards, Plunkett & Howell, and Floyd Brewster, and garden designers Francis T. Underhill and Lockwood de Forest, Jr. The result today is the most magnificent of the California Spanish Colonial Revival-style houses now standing. Robert Sweeney has written on Frank Lloyd Wright and R. M. Schindler and now is working on a book on the Santa Barbara architects James Osborne Craig and Mary McLaughlin Craig. Marc Appleton is an architect based in Santa Barbara, and his work has been widely published. Matt Walla is a photographer and filmmaker based in Santa Barbara. A luxurious volume presenting the epitome of California Spanish Colonial Revival-style architecture.